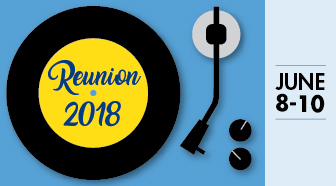 Cazenovia College will celebrate Reunion 2018 June 8 – 10. Alumni from 16 states spanning Maine to California will return to campus for the festivities. It will be an exciting weekend back on campus and a wonderful time for alumni to connect and reminisce. This year’s alumni group will include graduates spanning 55 years! Reunion 2018 gives a special welcome to honored year classes ending in 3 and 8. The class of 2013 will make its first honored year appearance, while alumnae from 1958 return to celebrate 60 years as Cazenovia College graduates. Director of Alumni & Parent Relations Shari Whitaker is excited to see such great participation in Reunion 2018. “Reunion provides the opportunity for alumni to rediscover what made Cazenovia College ‘home’ for them and to renew lifelong friendships and make new ones,” Whitaker says. Interested in who is returning to Cazenovia for Reunion 2018? Check out the list of alumni on our Who’s Coming page.